There are so many things to remember and to do when planning a wedding. The exciting things are the easy things: choosing the venue, finding a photographer, starting a Pinterest page with all your style ideas, finding a dress, or an ideal suite or tux, etc. Unfortunately, the administrative tasks that are required to get married tend to be the ones overlooked. Forgetting important things like applying for a marriage license can add unnecessary stress and lead to blame games close to your wedding date. You can always hire a wedding planner to help you stay on top of these tasks. Regardless, we are here to help steer you in the right direction. 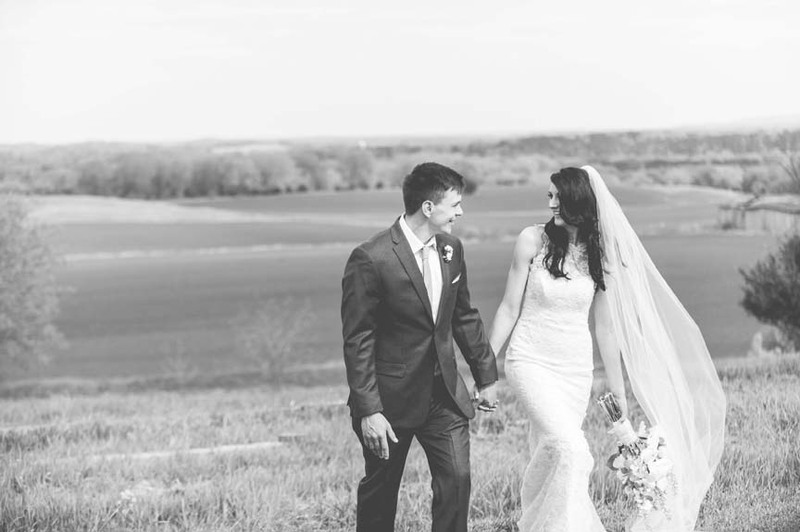 Here are a few tips on getting married in Wisconsin, and in particular Sauk County, where Vennebu Hill resides. Applicants who are State of Wisconsin residents are required to apply for a marriage license in the county one of the parties has resided in for at least 30 days prior to making the application. The license can then be used in any county in the State of Wisconsin. What this means: If one of you (the couple) lives in Wisconsin, you can apply together at the County Clerk office of where that person lives – if they have been living there for at least 30 days. If both parties are nonresidents of the State of Wisconsin, an application is required to be made in the county where the ceremony takes place. What this means: Together, you both must go to the County Clerk office in the same county of the wedding site (Vennebu Hill resides in Sauk County). There are some caveats to applying out-of-state, so make sure to read on or visit the Sauk County Clerk’s Office web page. Both parties are required appear in person at the office of the Sauk County Clerk, West Square Building, 505 Broadway, Room #144, Baraboo, Wisconsin, from 8:00 a.m. to 4:00 p.m., Monday through Friday, (closed Saturdays, Sundays, legal holidays, and the day after Thanksgiving). Allow ½ an hour of time to apply. In Wisconsin, a marriage license is required to be used within 30 days from the issue date. There is a five (5) day waiting period unless a waiver of the waiting period has been granted. The application costs $80, payable by cash or check. What this means: You should plan to visit your venue location within 30 days of your wedding ceremony. You may call the Clerk’s office to make sure this is the case at (608) 355-3286. There is a waiver of the five day waiting period for a fee of $10 if your case warrants one. Please visit the Sauk County Clerk’s Office site for more information. Proof of where they live in the form of a driver’s license (with up-to-date address), state-issued identification card, mail, rent or mortgage receipt, checking account, or savings account. What this means: If you are having trouble locating your birth certificate or any other vital document if your case warrants one, please visit the Sauk County Clerk’s Office site for a list of links that will help you solve these problems. What this means: Vennebu Hill Wedding & Event Venue is located in the Village of Lake Delton. While its physical address lists Baraboo, it is closer in proximity to Lake Delton. The county is Sauk County. A great option at Dells Bells Wedding Chapel in Wisconsin Dells for hiring a Minister-To-Go for your ceremony. Visit the Dells Bells Wedding Chapel website for more information or call 608-393-4228.